Hi I’m Julia Paulger, a 19 year old university student studying a Bachelor of Business at the Sunshine Coast University. I live in Kenilworth on my Parents dairy farm, Adadale Jerseys & Holsteins, where I have lived my entire life. I have been lucky to been raised in the country side, working and helping to run our dairy farm. Working alongside animals comes with the nature of working in the country, and I have been lucky enough to live every little girl’s dream of owning a horse (or two, or fifteen). When I’m not riding horses or competing, it is more than likely you will find me at a cow show, preparing some of Australia’s best dairy cattle for the show ring. If my time isn’t consumed by these two passions, I may be found playing touch footy, shopping or at the beach, surrounded by friends and family. Cows and horses have been a huge part of my family for as long as I can remember; with my grandfather being a very natural horseman and an extraordinary cow man himself, so you could say it was bred in me. I started riding at the young age of 4, on a little pony called Sugarplum, who gave me the confidence to conquer the world. Racing around with my older sister on the farm, mustering cattle and trail riding further spiked my passion to ride. 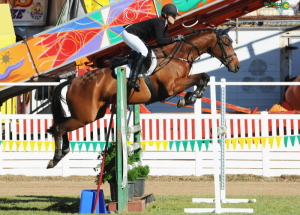 I commenced my show jumping career at the ripe old age of 7, competing at the local country shows and pony club events, having a lot of success. During these early years I became aware that it was not only important to achieve great results, but equally as important to have my horses healthy and looking the part, because some days you can’t always win. 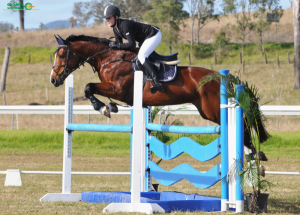 Throughout my under 12 year career, I rode Sugarplum’s daughter Springtime, who became a legend in the South East Queensland show jumping ring. Aboard Springtime I won numerous large titles, including the inaugural Show jumping Extravaganza, where I received a brand new Stubben saddle. I was also a member of many successful teams’ events, winning back to back team challenges in highly contested events. I stepped out of my 12 and under pony club days and into the larger show jumping scene, where I competed regularly against the best in the business. From here I began developing young horses, slowly moving them through the show jumping ranks, gaining experience and a greater knowledge for training horses. Today I have a well-developed team of young horses, all bred, grown and educated by my family. Through my family’s extensive knowledge of breeding elite cattle and horses, has helped me to establish the fantastic breeding foundations I have today. My entire show jumping team now consists of home bred horses which we are very excited about, showing incredible talent and beautiful conformation. 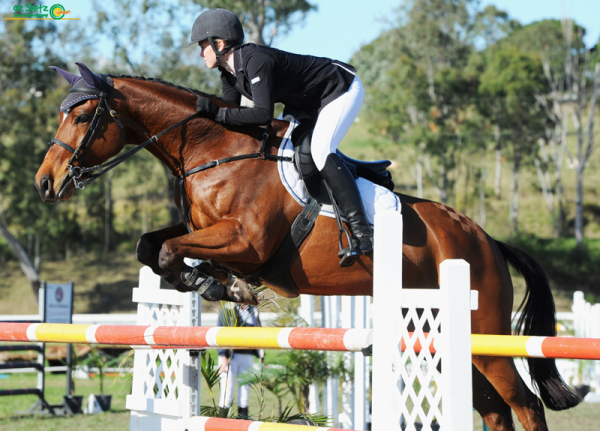 Fortunately for me, my aunty, Michelle Fenton of Highhaven Park Warmbloods very early on, saw the immense impact that Warmbloods would have in Australia in show jumping and dressage competition. To her very great credit she bred two outstanding stallions Highhaven Park Welt’s Emperor and Highhaven Park Excalibur by the legendary imported bloodlines of Valuta, Salute and Weltmeyer. My current show jumping team are sired by these outstanding stallions. The current team consists of Excal’s Casanova, Miss Cosmopolitan and Excal’s Sinatra and High haven Park Excalibur (recently retired) with many youngsters about to step on the horse truck, and into the their show jumping career. Throughout the year, I compete extensively throughout South-East Queensland, attending both small and large country shows, placing consistently. These shows are used as preparation and education for my team to compete successfully at the large World Cup Events held mid-year, where riders come from interstate to contend these events. My future aspirations are to be a well-respected successful rider at Australian level and hopefully International level, and just enjoying what I do. 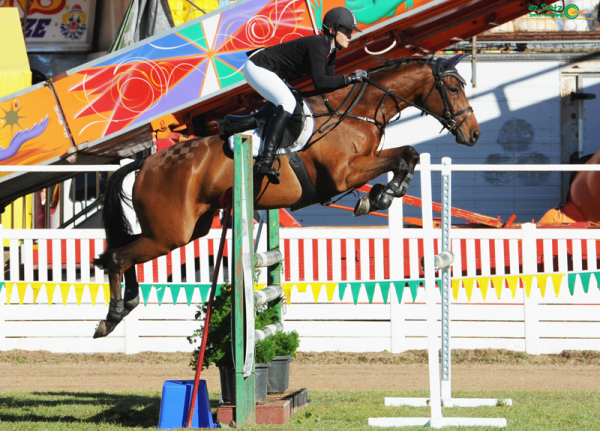 Successfully competing at the top level requires a fit and healthy horse. For me, ensuring my horses receive the best possible feed on the market is paramount to their success. Having a feed that they can easily digest and that maintains their weight is really important, not only for my performance horses but also my younger stock. I have been using Mi-feed for many years now, where my horses have done extremely well. A feed that accommodates for all horses, from my mares and foals to my young horses, and right up to my show jumping team. I love the consistency of the feed, with my horses (even the fussy ones) never turning up their nose.